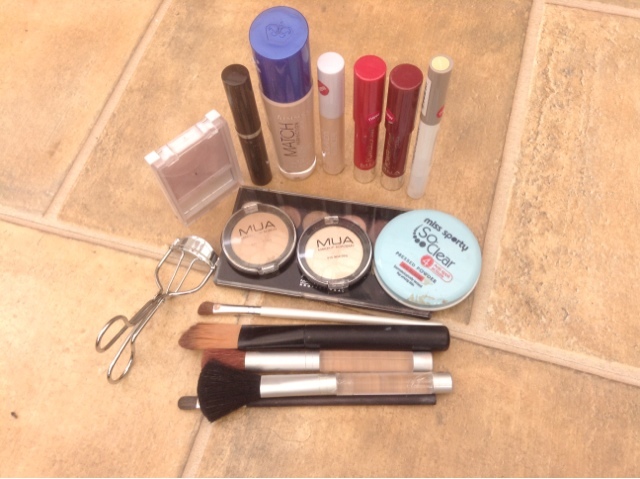 Guest Post: What's in Hayley's Makeup Bag? Hello I'm Hayley from Hayley's Beauty, the lovely Shona has let me post on her blog. I have never done a guest post so I'm pretty excited for this. Well lets get started, I am showing you my everyday makeup bag. This post has lots of pictures for you all, I hope you enjoy. Here is an overview of just some of the products I use as I am always changing the products up. First off here are my brushes, I have a selection of brushes from different brands which are Superdrug, ELF and a few unbranded brushes. 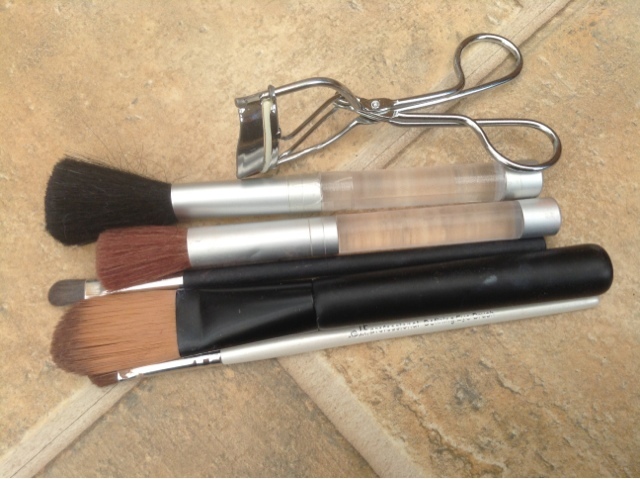 I have a defining eye brush, foundation, eye, blusher and powder brushes which I use on a daily basis. Also some very handy eyelash curlers, At the moment I love curling my eyelashes. Then I have my face products, the foundation I am using is Rimmel Match Perfection in 010 light porcelain which I love at the moment as I am new to foundation but this is my perfect match. I have two MUA products my concealer in light and the undress my skin radiant under eye concealer which is very useful especially on those days where you look like you have just dragged yourself out of bed. The powder I use is Miss Sporty powder so clear pressed powder, I have been using this for ages and have only just hit pan on it. Then I come onto my favourite products for my eyes, I love doing my eyes more than anything. I could have picked up so many eye shadows but I decided not to. I have the very well loved eyeshadow palette the MUA heaven and earth, I just love this. It is very simple and quick that is why I love it so much. Then I have two single eye shadows, shade 1 which is a white highlight that is perfect for a highlighter the other shade is 17 which is a brown all over the lid colour. Mascara is quite a difficult one for me because I just have so many to pick from. But in the end I chose Technic, it is a natural looking mascara and it doesn't clump up too much. Lips are quite tricky for me because I don't like too in my face colours, these are the MUA power pouts in the colours broken hearted and crazy in love. 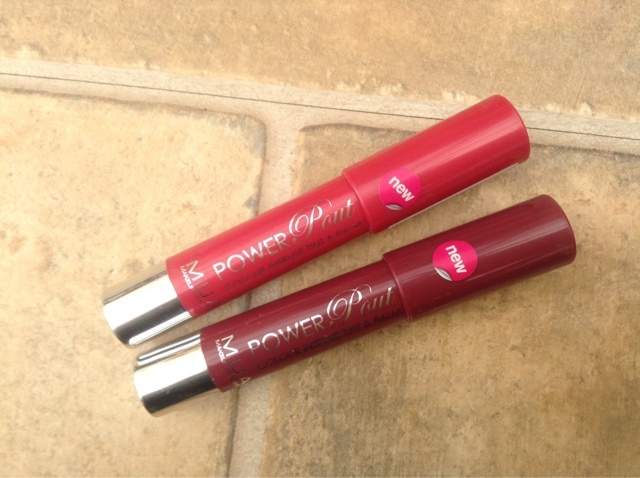 I love these as they are so easy to use and they are so pigmented. The colours are so amazing and have the tingly mint flavour too it. 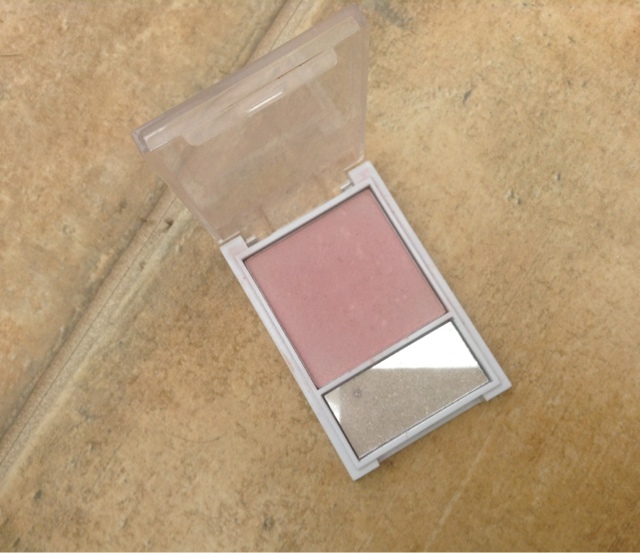 Last product is my favourite blush by ELF in the colour shy. This gives my cheeks a colour but not too over-powering. That is the content of my make-up bag, I hope you enjoy and I would like to thank Shona for letting me put a post on her blog. If you want to see more of my stuff then check my blog out here. A note from Shona: Thank you Hayley for guest posting on my blog! 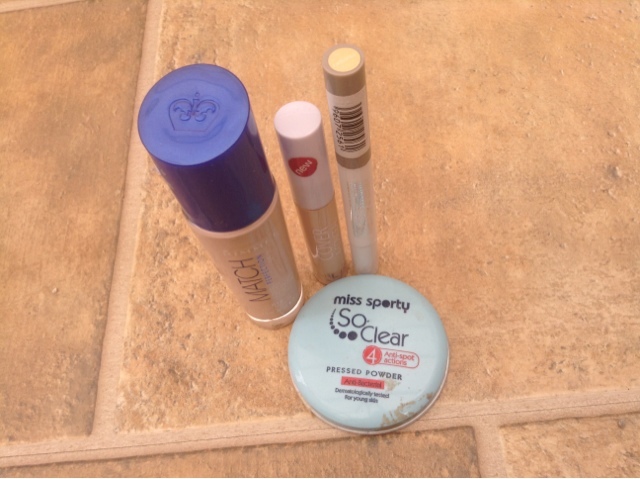 It is always fun to see what is in other peoples makeup bags! Share one product from your makeup bag in the comments below, I'd love to know! 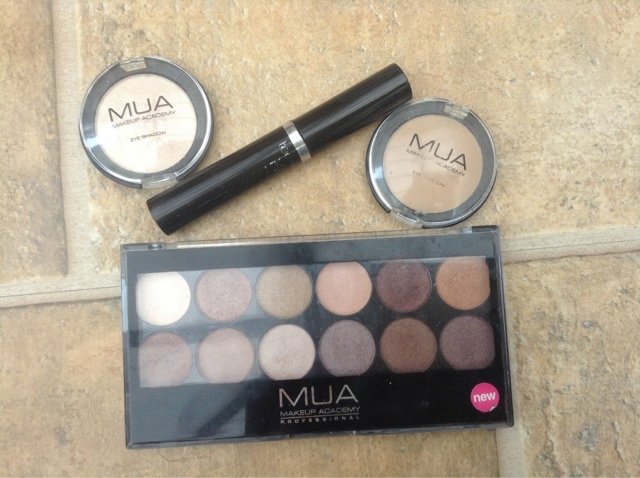 i love MUA shadows and now i'm definitely gonna try out the power pouts!